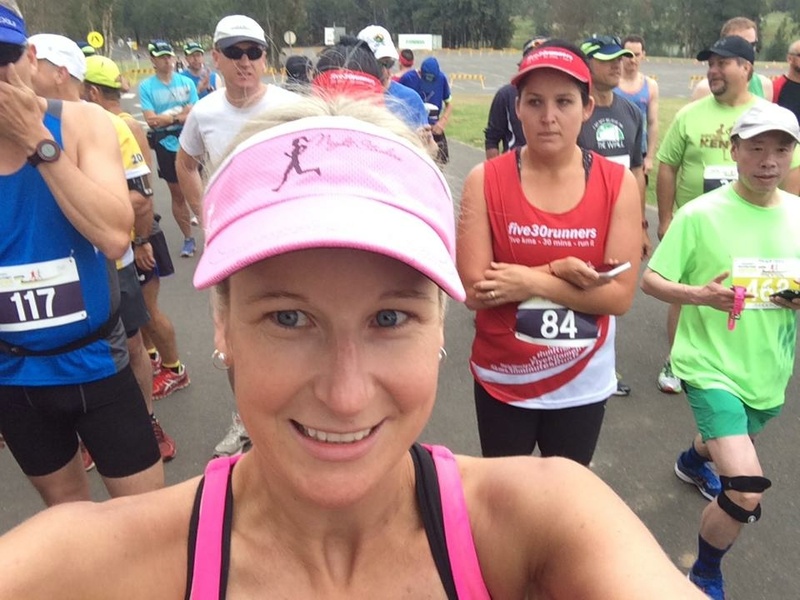 The Western Sydney Marathon… One for the record books! 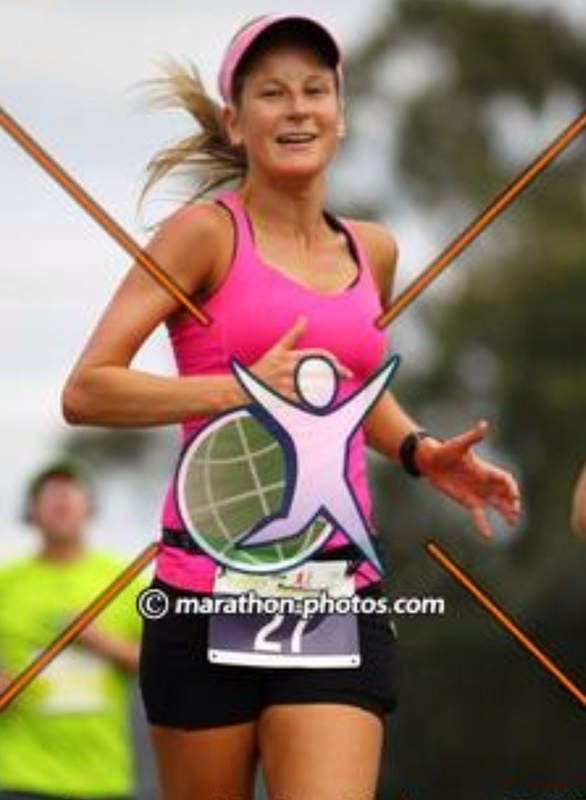 The Western Sydney marathon was held on Saturday, 4th October. A Saturday marathon! You don’t get many of those. A Saturday race suited me just fine, as I had to fly out to Hawaii that night, so if the race was on Sunday I would have missed it! I drove down to Sydney by myself on Friday night after work, and stayed at my cousin’s house. We had pizza for dinner, before turning in for an early night. I woke on Saturday morning before having my usual breakfast of belvitas and a powerbar, before heading off to the regatta centre. 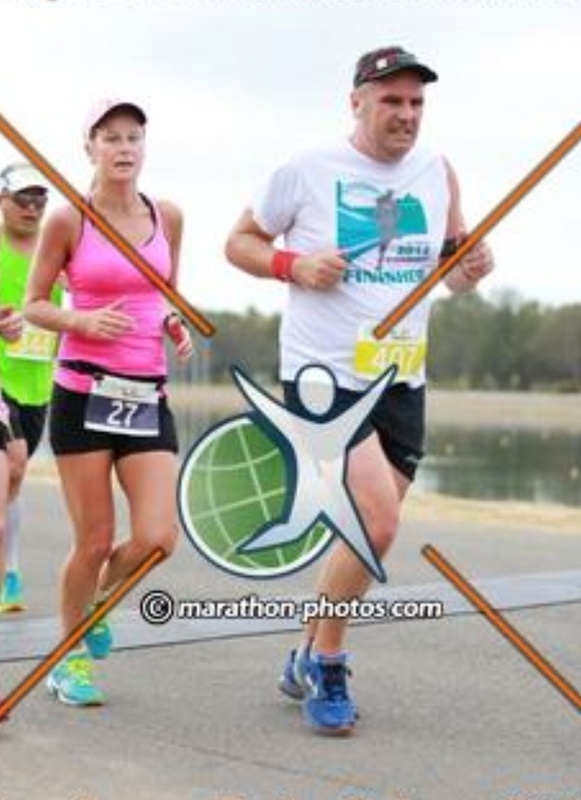 I picked up my race kit… Bib number 27. Quite appropriate for my 27th marathon. i sat on the grass, had some Gatorade, and applied some sunscreen. It was going to be a hot day. Soon enough, it was time to head to the start line. 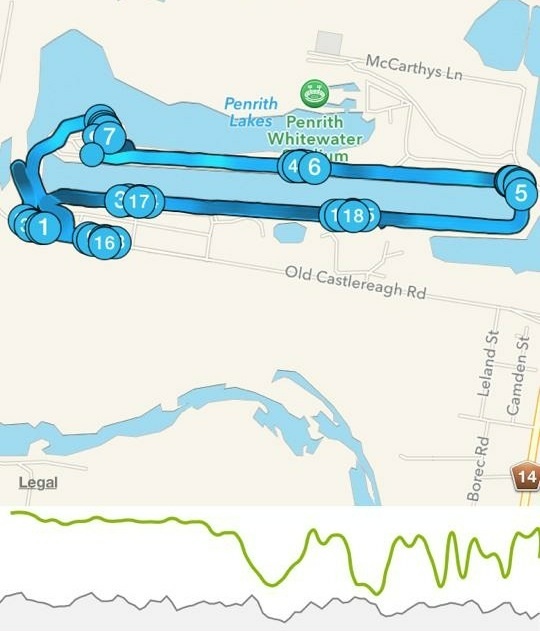 The race was a lap course, around the Regatta centre. 6 laps in total. It was quite a flat course, with no real hills of any consequence. 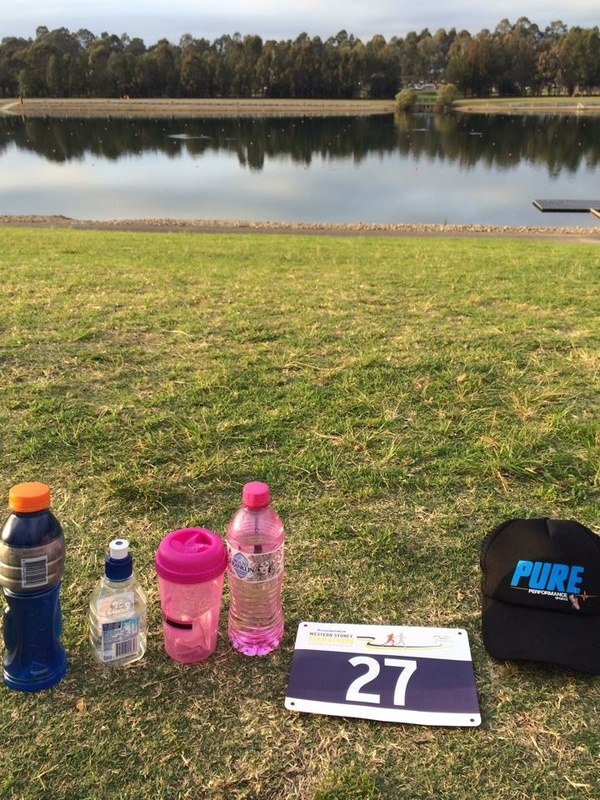 After a kilometre or two, I found myself running with Cory Newman, who I ran with at Hunter Valley for about 42 kilometres. She was using the race as a qualifier for comrades, and was aiming to crack 3:30. That suited me. The first 2 laps seemed to go by pretty fast. We were on target, holding a good pace, and having a good chat along the way. Towards the end of the 3rd lap, I started to get intermittent stitches. I could taste sunscreen, and it was making me feel nauseous. It must have been on my hands when I touched my mouth or ate a GU. We went through halfway in about 1:44. For the next few kilometres, my pace dropped by about 30 seconds. I let Cory go, choosing to walk through a water station and have a Gu, trying to shake the nauseous feeling. It didn’t work. 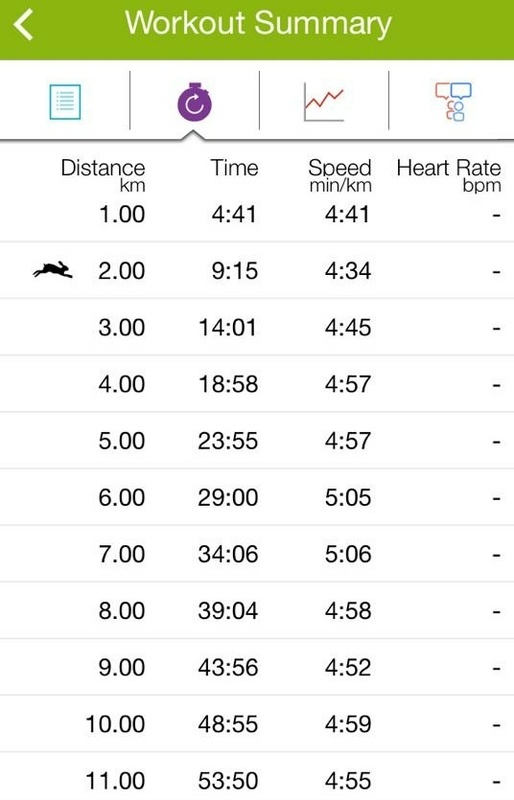 Kilometre 23 blew out to 6 minutes 45, and kilometre 24 to 10 minutes 24, as I slowed to a walk. By now the half marathoners were on course, and many of them were passing me. At a drink station, I went off the course and into the bushes and was sick there. I had come more Gatorade, and kept going. As I neared the end of the 4th lap, I entertained the idea of pulling out. I was feeling completely wretched, there was still a long way to go, and I had to fly to Hawaii after this. It was getting hot out there. i kept going. I managed to get kilometres 28 and 29 done in under 6 minutes each, but my times were getting very inconsistent, as I ran where I could, and walked when I couldn’t. Kilometre 31 took 12 minutes, as I was sick again, and again on the last lap too. After I was sick I felt temporarily better, but was dehydrated, so I had more Gatorade. I started running, and it sloshed around in my belly, making me feel nauseous again. It was a vicious cycle. By kilometre 39, the clock had ticked over the 4 hour mark. I still had nearly half a lap to complete, but the end was in sight. I was seeking shade, as it was hot out there. I managed to run (albeit slowly) the final 3 kilometres, and was so glad when this race was over, in 4:16:18. 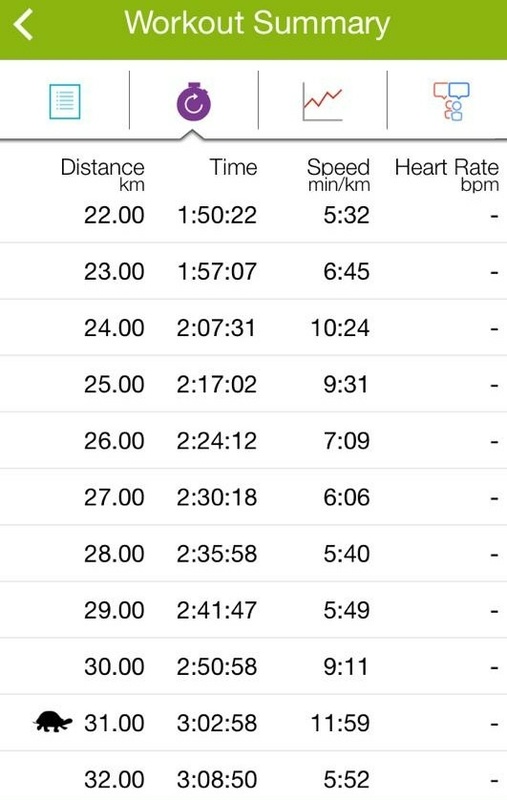 The second half of the race was around 45 minutes slower than the first half. A new personal worst for the record books, and a little off the sub 3:30 that I was hoping for, although I was pleased to hear that Cory got the result she was looking for. Not too consistent for the second half of the race. Run when you can. Walk if you have to. Crawl if you must. Just don’t stop moving forward. Next stop… Hawaii! Well done on finishing. Good luck for your next one. Thank you! I’m sure the next one will go better. Hi Kirby, great to see your mental toughness come to the fore. ← Is a Sub-2 Hour Marathon Possible?